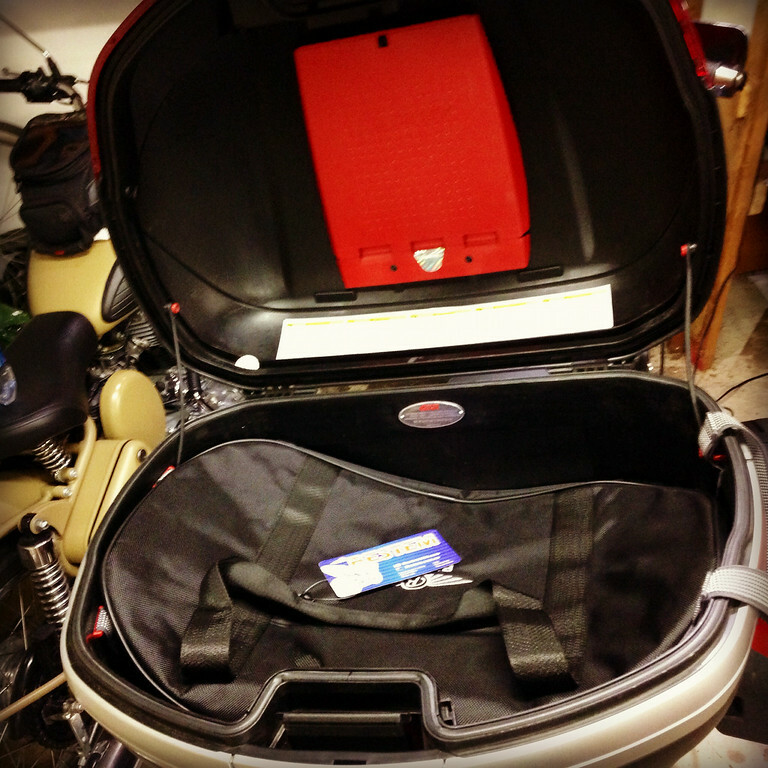 While traveling on my Tiger, I have been using a canvas tote bag with a “recycle” logo on it inside my Givi box as the liner. I’m pretty sure I got the bag as a giveaway somewhere because I can tell you with utmost certainty, I would never have bought and paid for such a thing. Ugly aside, the size of the tote worked well enough and you couldn’t beat the pricetag. Always on the lookout to make my life just thaaaaaat much more luxurious, my sweetie hooked me up with a very nice Bestem Givi trunk bag. Swanky, swanky! So long, canvas tote. One drawback with my canvas bag was the narrow top load. It invariably meant that something that I wanted out of the bag would be near the bottom. I would have to either be careful about the packing order of things or I would end up packing/unpacking several times to get to something. 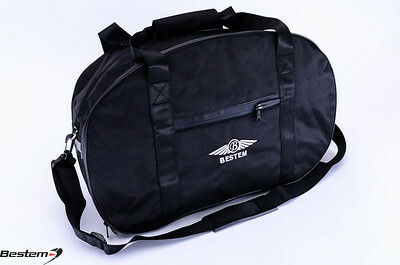 The Bestem liner has flat loading just like the Givi box. Open the lid and voila! Your stuff. It’s practically magic. Much easier to carry doughnuts now. Nice bag! I see you managed to squeeze in your Fitflops :). I love them, so comfy after wearing riding boots all day.